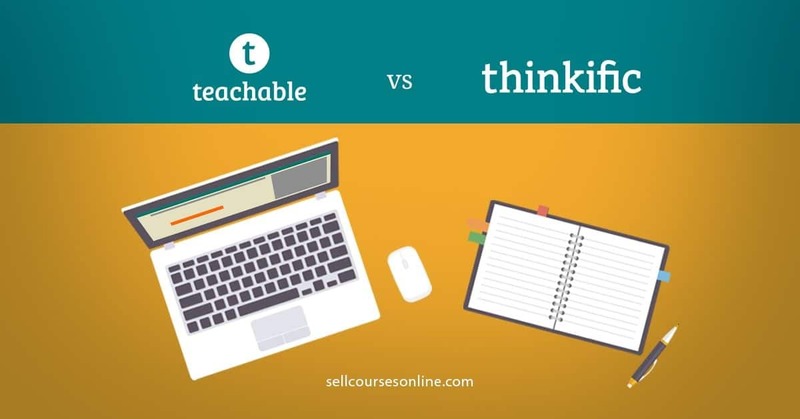 Home » Blog » Kajabi vs Teachable: Which is Best for Your Online Courses? Kajabi and Teachable are two of the most popular online course platforms and they are both market leaders in their own right. So, almost every course creator searching for an online course platform needs to answer the Kajabi vs Teachable question. The two platforms differ a lot in terms of what they have to offer and how they are priced. So, there is no one answer to which is the better course platform of the two and the best option for you will really depend on your business needs. There are a lot of Teachable vs Kajabi articles on the web but most of them either share why they prefer one over the other or they include just a comparison chart which isn’t very helpful in making the right decision. So, I decided to leverage my experience of working with hundreds of instructors on both the platforms and create the most comprehensive comparison guide out there. 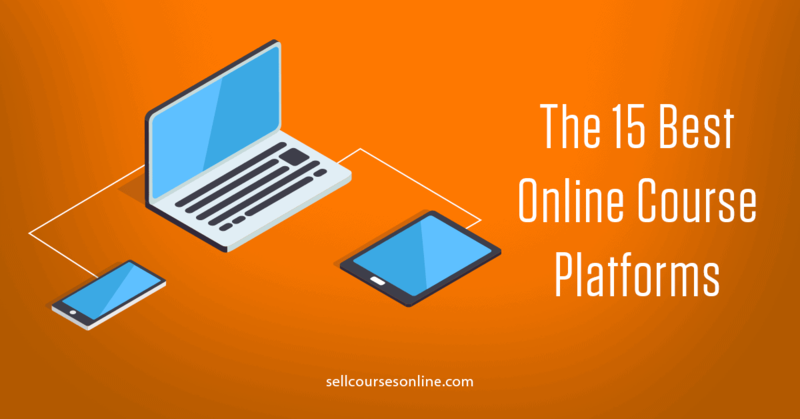 In this review, I’ll do an in-depth evaluation of the two platforms based on every aspect of creating and selling online courses. What I like about Kajabi vs Teachable? Offers 10+ well-designed themes and a lot of customization options for the course area. Offers powerful engagement tools like community, assessment and assignments, automations etc. Ability to build a fully-fledged website as well as a blog. Flexible pricing and payment options for recurring subscriptions. Has inbuilt sales pipeline builder and marketing automation tools. Offers 24/7 Live Chat Support. What I like about Teachable vs Kajabi? Allows you to create certificates natively. Better course reporting and analytics tools. Handles EU Digital Goods VAT tax. Flexible and beginner friendly pricing. This has been an epic battle to follow and I am really excited to see where this goes. So, I plan to update this post on a regular basis as these platforms release new features and upgrades. Now, let’s take a deeper look to find out whether Kajabi or Teachable is a superior online course platform and a better fit for your business needs. What are Kajabi and Teachable? Kajabi and Teachable are both cloud-based platforms that allow you to create and sell an online course under your own brand. They provide you with the infrastructure and all the essential tools required to build your course website and deliver engaging online courses. So, you can host all your content including videos, pdf, quizzes etc., you can easily structure your content into modules and lessons, you can sell your course and accept payments online, you can deliver the content through the inbuilt course player and you can further engage your students. More importantly, you can do all of this even if you don’t have any technical knowledge or coding skills. Their team takes care of all the techy stuff like hosting, maintenance and updates which allows you to focus on the more important things. Another important thing about Kajabi and Teachable that you should be aware of is that they aren’t online course marketplaces. So, unlike Udemy and SkillShare, you’ll have complete control over pricing, student data as well as your policies (e.g. refund policy). Despite all the similarities, there is a fundamental difference between the two course platforms. While Kajabi is an all-in-one solution where you can run your entire online course business including marketing on the platform, Teachable is a standalone course platform that offers mainly the core features for creating and selling an online course. 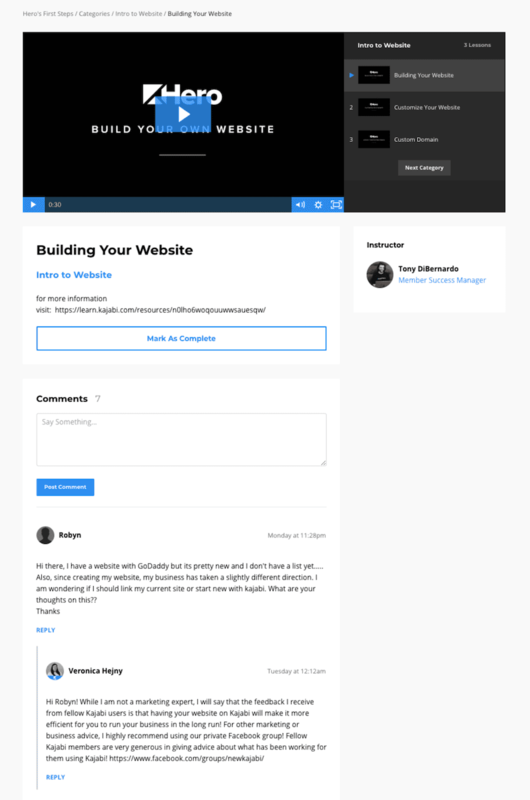 So, Kajabi doesn’t just allow you to host and sell online courses but you can also build your website and handle your entire marketing on the platform. The idea behind a platform like Kajabi is to have everything under one roof so that you don’t need to hack together or learn to use several different tools. On the other hand, Teachable’s focus is on providing you just the tools you need to create and deliver an engaging online course to your students. It doesn’t have the ability to create sales funnels or do email marketing which isn’t necessarily a bad thing. It is just that their focus is different. We’ll discuss in detail how the two platforms differ in terms of specific features and which will work better for you in the subsequent chapters in this guide. The core job of an online course platform is to let you create an online course, deliver it to your students and engage them. In this chapter, we're going to look at all the important features that Teachable vs Kajabi has to offer when it comes to course creation and student engagement. Let’s start with the process of content uploading and course structuring. Both Kajabi and Teachable allow you to add video, audio, pdf, text, quizzes etc. to your courses. They also offer unlimited video hosting via Wistia on all their plans and so, they are very similar in terms of the content types that they support on the platform. With Kajabi, you can easily upload your content and structure it into an online course using the course builder. 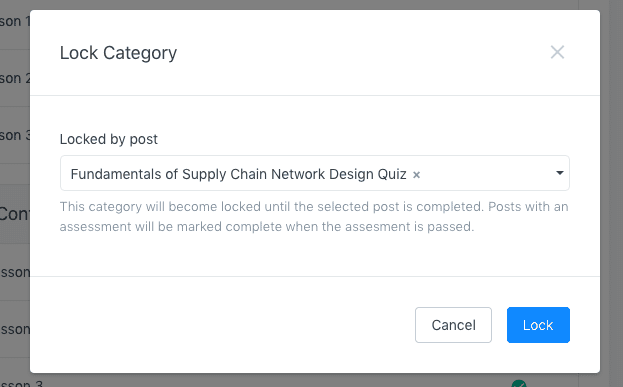 It allows you to add lessons (Posts) and modules (Categories) to your online course (Products) and you can easily reorder them by simply dragging and dropping. 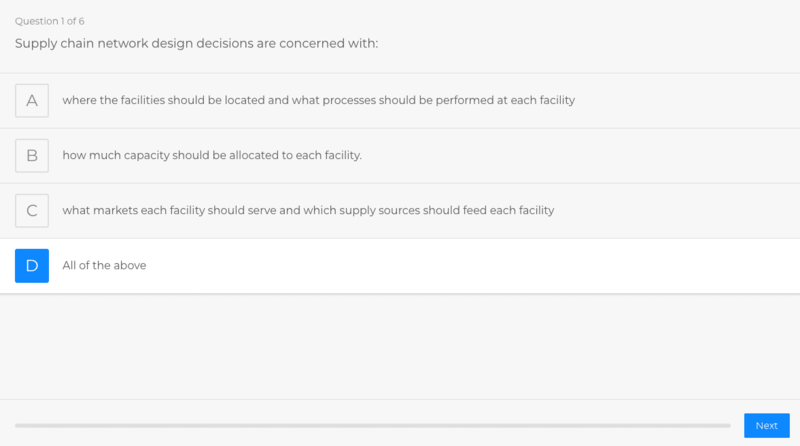 You can also add a third level, sub-categories which gives you more flexibility in structuring your course. When it comes to adding content to your lessons, you can either do it one-by-one or you can bulk upload all your content at once. Plus you can upload content either from your computer or you can import it directly from Dropbox or Google Drive. Once you click on a lesson title on the curriculum page, you'll be taken to the individual lesson page where you can add video/assessment to that lesson, add download files, enable/disable comments area etc. Moreover, you can change the publishing settings, define a drip schedule, set pre-requisite lessons etc. within the course builder. Teachable also has a drag-and-drop course builder that allows you to easily add lessons and modules to your course structure. Unlike Kajabi, you can add only two levels to your course. Again, you can either add content to your lessons one-by-one or you can bulk upload all your course content. One thing that I like about Teachable’s course builder is that it offers you a lot of flexibility when it comes to adding multiple content types to individual lessons. 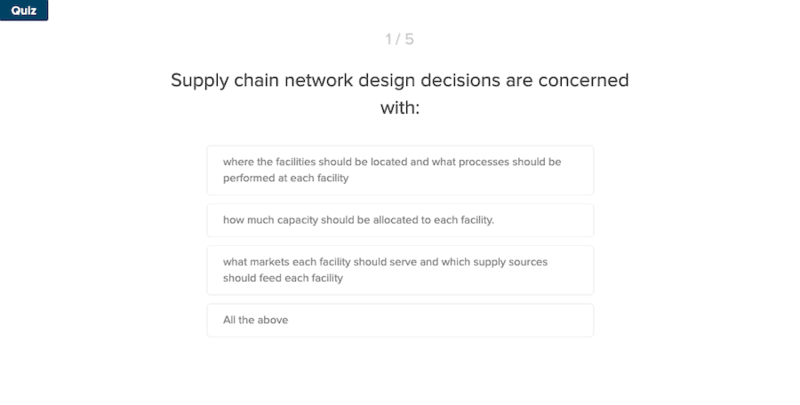 For example, you can add a video and a quiz, embed a pdf, add some text etc. to the same lecture easily and show them in any order you want. Kajabi’s course builder doesn’t have this sort of flexibility for adding multiple content types. For example, you can’t add two videos in one lesson or you can’t add a video and a quiz to the same lesson. 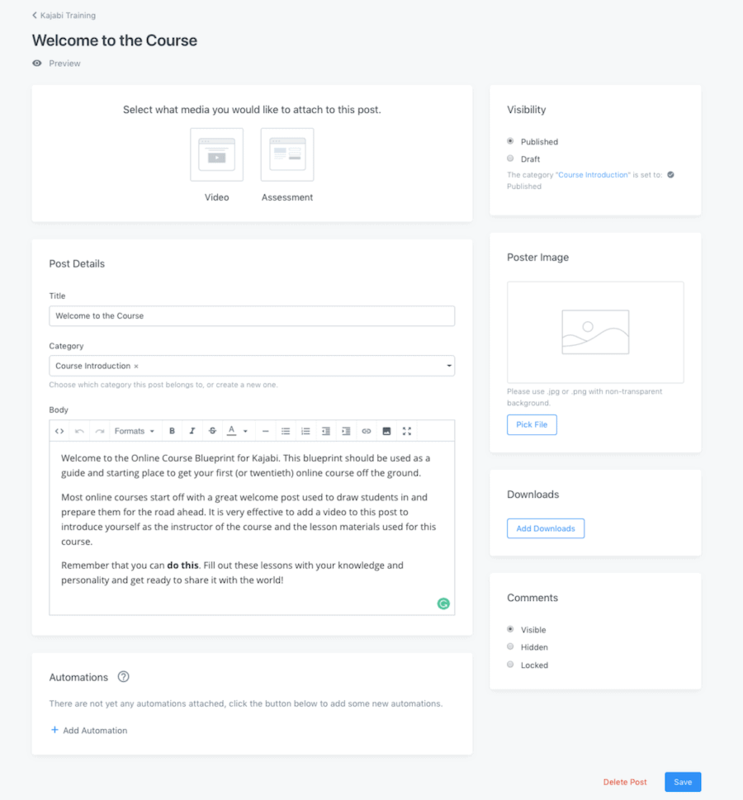 That being said, the course builders in both Kajabi and Teachable are intuitive and user-friendly which makes the course creation process on the two platforms really simple. A very important aspect of course delivery and user engagement is the course player (student area) design and this is one area where both platforms differ quite significantly from each other. Let’s talk about Kajabi first. The thing that I like the most about course player design in Kajabi is that it offers 10+ course area themes and you can choose a unique theme depending on the nature of your offering. So, whether you’re creating an evergreen online course or a membership site or just a library of standalone content, you should find a theme that will meet your requirements. 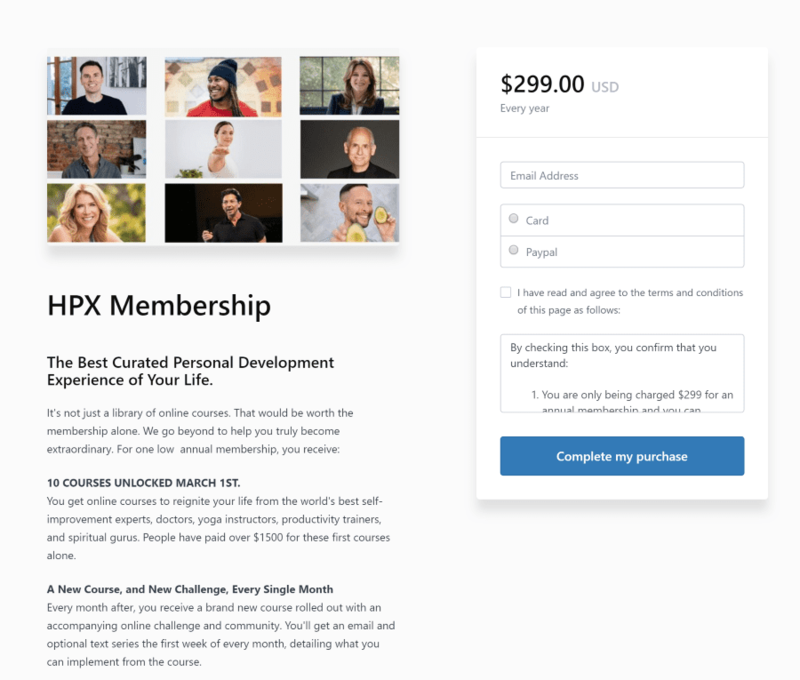 While all the themes are very well designed, my personal favorite is the Premier Theme which for me is the best-designed course player theme of all the online course platforms out there. The design is pretty clean, you can show these video thumbnails in the curriculum area (looks elegant), users can easily navigate between modules and lessons, and overall it gives a premium look and feel to your courses. Teachable’s course player is user-friendly as well, the users can see their progress and navigate through the course on the left and the actual content appears on the right. However, with Teachable, there is just one default theme for the course player which might not work as well if you are building, say, a membership site and you don’t want the same flow as an evergreen online course. Another thing that I like about course area design in Kajabi vs Teachable is that it allows you to further customize any of the elements in these themes. For example, you can choose to display/hide the course progress or the instructor bio and you can add a course card in the sidebar to cross-sell other courses. Teachable doesn’t let you customize any of the elements in the course player theme and you’ll need to code in order to do that. Finally, the course player on both platforms is mobile responsive and your users can easily take the course in a web browser on their mobile phones. In addition, Teachable offers a native iOS app which helps further improve the course delivery experience for users on mobile. Kajabi at this point doesn’t have a mobile app but this is one of the most voted feature requests on their ideas portal and I am sure that it will go into development soon. Overall, Kajabi does a better job at course delivery than Teachable. It gives you a lot of control and flexibility in terms of course area design and helps deliver a premium learning experience to your students. Both Teachable and Kajabi allow you to add a native comments area to your lessons. 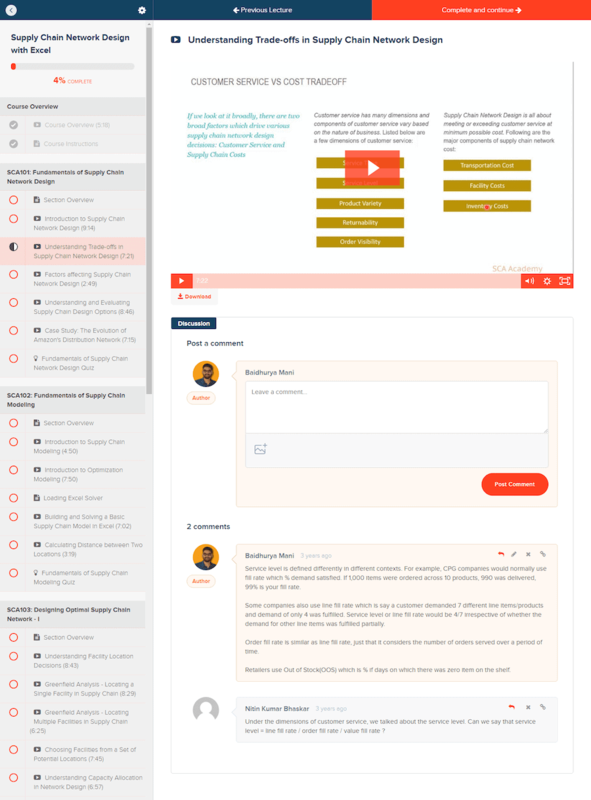 The comments area sits nicely below the content in a lesson and your students can ask questions or seek feedback by leaving a comment. In addition, Kajabi allows you to create a community forum. A Community is a separate area on your website that you can sell access to either separately or as part of your membership site. Your members can access the communities they’re a part of, from their dashboard. By default, community has a clean, modern design and it looks great out of the box. Within a community, members can participate in an existing discussion or they can start a new one. They can also send private messages to the admin or to other members. As an admin, you can create topics to keep discussions in your community organized and further choose to display either the topics or the feed on your community homepage. You can also pin a post to move it to the top of the community feed or send an announcement to your community members. So, if you want to build an engaged community around your online course or membership site, this can be a really handy feature. Teachable at this point doesn’t have the ability to create a community forum on the platform and you’ll need to use an external solution like Mighty Networks which requires students to create new logins and isn’t a great experience. Kajabi has what it calls Assessments that allows you to create quizzes and surveys for your online courses. With an Assessment, you can have different question types including multiple-choice, multiple-option as well as paragraph style questions etc. It also has a file upload question type that can be used to accept assignments from your students. Moreover, you can set a passing grade for your students and it can automatically evaluate their responses. Overall, Assessments are pretty flexible and it can be used to create regular quizzes, survey your students and even enable them to submit an assignment. Another thing that I like about Assessments is that it is an individual building block in Kajabi and so, you can reuse the same Assessment throughout different lessons and courses. As far as Teachable is concerned, it also offers the ability to create quizzes and automatically grade your students. However, it allows you to only add multiple-choice and multiple-option questions to your quizzes which means you can’t use it to accept assignments from your students or survey them. Another limitation is that you can only add text to your questions in Teachable while Kajabi also allows you to add images. Finally, a quiz is tied to a specific lesson in Teachable and you can’t use the same quiz in other lessons or other courses without creating a new one from scratch. At this point, both platforms don’t support more advanced quizzing features like question banks, randomization, timed exams etc. and you should be aware of that. That being said, Kajabi Assessments are more flexible and powerful compared to Teachable quizzes and in my opinion, they also look more elegant compared to the latter. Teachable allows you to create certificates of completion natively on the platform. You can add a certificate to a specific course and your students will automatically receive it upon completing that course. Teachable currently has 3 certificate templates, all of which have a professional design. Moreover, you can modify most of the elements on the certificate template and personalize it. You can also build a custom template from scratch if you know liquid/html coding. Kajabi at this point doesn’t allow you to create and send certificates to your students natively. 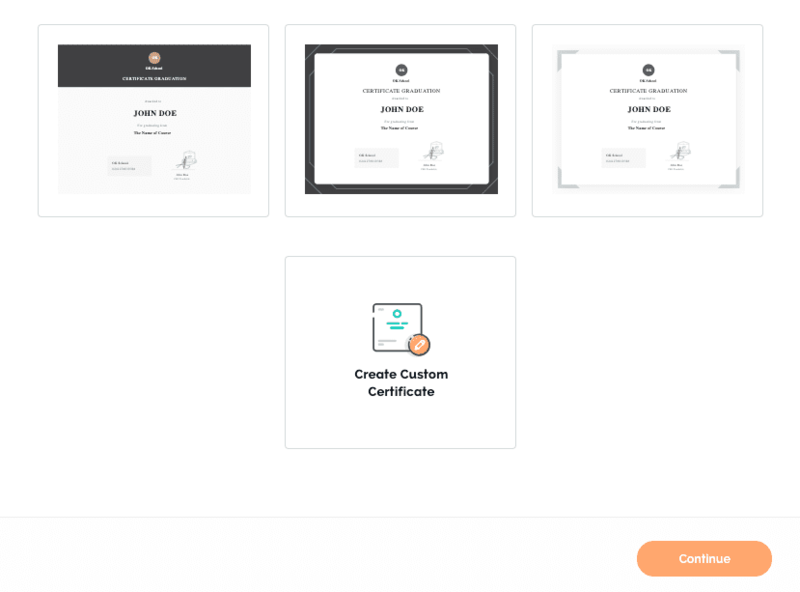 If you want to send certificates of completion, you’ll need to use an external solution like Google Slides or Accredible to create a certificate and then you can automate the entire process using Zapier. An important feature for ensuring course compliance is content locking. With Kajabi, you can set pre-requisite lesson for a module and unless a user completes that specific lesson, the user can’t access that module. If the pre-requisite lesson has an Assessment which requires a passing grade, the student must pass the quiz before he/she can access the module. Teachable also allows you to lock your content but it works pretty differently. So, compliance is enforced at a course level and you’ll need to choose from one of the three options. For example, if you select ‘Enforce Lecture Order’, the user must progress through all the lectures in the course in order. Similarly, you can also enforce a quiz completion compliance like you. But the most interesting thing is that Teachable offers a ‘Enforce Video Watching’ option which requires your students to watch at least the 90% of your videos before they’re marked complete. This is really handy if you want your students from skipping your video content and Kajabi at this point doesn’t have this capability. When it comes to content dripping, it works pretty similarly on both the platforms. With both Teachable and Kajabi, you can drip your content either based on student enrollment or based on a specific date. You can also set up emails to automatically go out to your students when the new content is available. The only difference is that Kajabi lets you customize the default time for dripping your content while Teachable doesn't have that option. Both platforms allow you to track your students’ progress and the performance of course videos. So, you can track metrics like course completion rates, quiz scores, video engagement, play rate etc. However, Teachable has more extensive course reporting tools as compared to Kajabi. For example, you can see the completion rates at the course level, the lecture level as well as the student level while Kajabi lets you track this only at the lecture level or the student level. 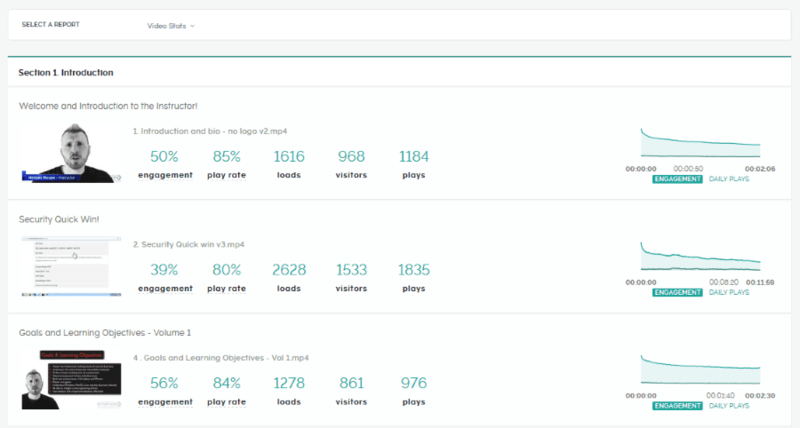 Similarly, Teachable allows you to track the performance of all your videos on a single page while with Kajabi, you need to go to individual videos and then see the stats. With Teachable, you can also see aggregated video stats for the entire course which is currently not possible with Kajabi. Plus, there is one single place within your course dashboard in Teachable where you can see all the available reports. On the other hand, you’ll need to go to different areas in your dashboard in Kajabi in order to see different information. Overall, I find it much easier to analyze different course metrics and see insights on Teachable than on Kajabi. Kajabi has what it calls Automations which allows you to create When/Then rules to automate tasks within your membership site. While Automations have a lot of application in sales and marketing (and we’ll discuss that later), they can also be used to boost student engagement. For example, if your student has been inactive for a certain number of days, you can send him/her an email automatically and check why they haven’t logged in to the members’ area and if you could help them. Similarly, if a student doesn’t pass an Assessment, you can send them an email automatically and point them to specific content that they should watch before taking the quiz again. You can use Automations in many different ways and we’ll be discussing some of its use cases in the next chapters. Teachable at this point doesn’t have any automations feature and in fact, I am not aware of any other hosted online course platform that offers this sort of capability. In this chapter, we discussed all the important course creation features that the two platforms have to offer and based on that, Kajabi has an edge over Teachable. It gives you much more flexibility and options in terms of the course area design. 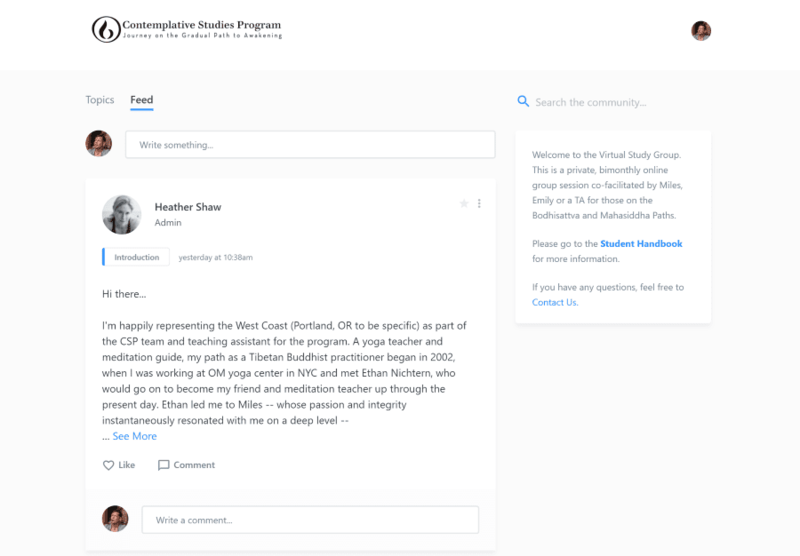 ​It also offers some very useful features like Community and Automations which aren’t available on Teachable yet and they can help you boost student engagement significantly. It is really important to have a website for your brand irrespective of your niche or your business model and both Teachable and Kajabi allow you to build a website on the platform. They do differ quite significantly in terms of their site building capabilities but before that let’s discuss what they have in common. Firstly, with both platforms, you get free hosting and a SSL certificate as part of your subscription. So, you don’t need to buy a separate hosting package or worry about things like bandwidth and storage limits. Secondly and most importantly, their team takes care of all the techy stuff, so, you don’t need to worry about backup, security, updates or maintenance as well. Thirdly, you get a free subdomain for your website (e.g. xxxx.mykajabi.com or xxxx.teachable.com) and you can also use your own domain (e.g. www.mywebsite.com) if you want. 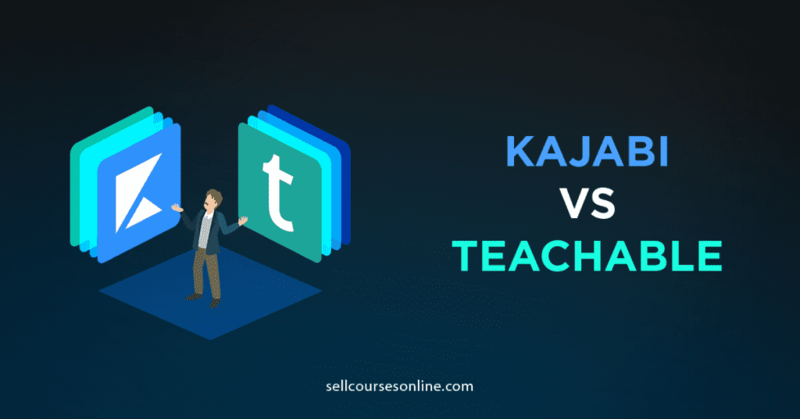 Now, let’s look deeper into the site design capabilities of Teachable vs Kajabi and see how they compare in terms of the important features. Kajabi used to have 10+ themes in its library but it has now moved all of them expect the Premier Theme to an archive of Legacy Themes. You can still use the Legacy Themes but Kajabi is no longer focused on improving them and so, I recommend that you use the Premier Theme. The good thing is that they have developed the Premier Theme into a super flexible framework which can be used to build all types of websites. There are multiple presets available for it which you can think of as kind of “child themes”. Currently, there are 6 Premier Presets available in their library and you can install them on your website in a single click. However, all the Presets are somewhat similar to each other in terms of design and I would like to see Kajabi add more of them to their theme library. As far as Teachable is concerned, they don’t have any site themes capability. What they have is a default template which is enabled on all Teachable school websites. They do have a theme area where you can upload your logo and define the typography and the color settings for your website. But you can't really customize the look and feel of your website at the theme level. When it comes to advanced customizations, both platforms allow you to modify the theme code from the backend. In addition, Kajabi allows you to import and use custom themes for your website as well which is currently not supported by Teachable. Kajabi has an easy-to-use page builder that allows you to completely customize your website. The page builder is a visual, drag-and-drop editor where you can see the changes you make on your website in real time. The page builder has 25+ pre-built sections available which makes building pages even easier. So, you can create a hero section with a background image or a video, add pricing tables, list your courses, show your blog posts, show a countdown timer, add an optin form and much more. Moreover, you can change the color, spacing and other settings for all the sections and elements on your pages including the header and the footer. 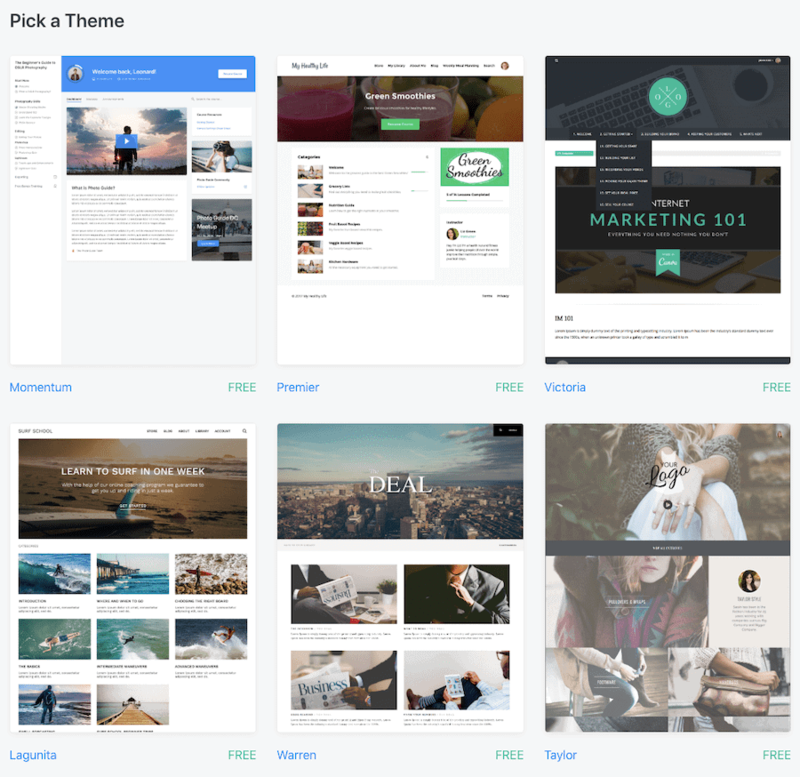 Teachable also has a drag-and-drop page builder that can be used to create pages on your website. The page builder is easy to use and it also has pre-built sections that you can add to your pages. However, Teachable’s page builder doesn’t provide you any customization options and has pretty limited page design capabilities. For example, you can’t change the color, width or spacing for any of the page elements. Similarly, you can’t create a two column or a three column layout. Overall, the Kajabi page builder is more powerful than Teachable and it lets you build unique and beautiful pages for your website. Both platforms allow you to create a blog. With Teachable, the blogging capability is pretty basic and you can’t customize anything on your blog. Plus, Teachable hasn’t released a single improvement to their blogging capability since it was launched on the platform and they don’t have any plans to improve it in the near future. So, if you’re serious about blogging, I will recommend that you stay away from using Teachable for running your blog. Kajabi on the other hand, has a much better blogging functionality and you can create a fully-functional blog on the platform itself. Apart from creating blog posts and adding content to them, you can define SEO settings for them, group them into different categories, add an opt-in form or you can show different elements in the sidebar. 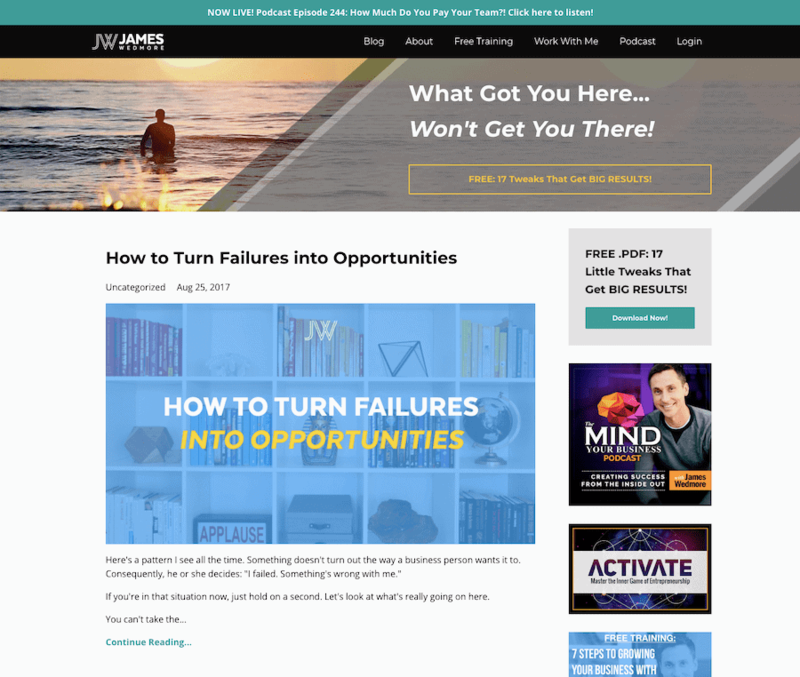 So, Kajabi certainly has more powerful blogging functionality than Teachable and you can tell from the fact that quite a few top course creators including James Wedmore use Kajabi to run their blog. But do keep in mind that Kajabi still can’t match a specialized blogging platform like WordPress when it comes to design options and SEO settings for your blog. With Kajabi, you can completely white-label your platform. You can remove Kajabi branding from all the places including your website as well as the course area. Teachable also allows you to remove their branding from your online school. The only problem is that the checkout, signup and login pages on your school use a Teachable subdomain even when you’re using a custom domain. On the other hand, all the pages on Kajabi including the checkout and the login pages use your custom domain. It is a minor thing for me personally but you should still be aware of it. So, when it comes to site design and customization, Kajabi is hands down the clear winner. It has better site themes and page building as well as blogging capabilities which allow you to create a fully-fledged website on the platform. Sales and marketing is an important component of any online course platform and there is a significant amount of commonality between the two in terms of the features that they offer. For example, both allow you to create coupons, bundle your courses, charge a one-time or a recurring fee, create checkout pages etc. Despite everything that they have in common, it is their sales and marketing capabilities that make them two very different platforms. 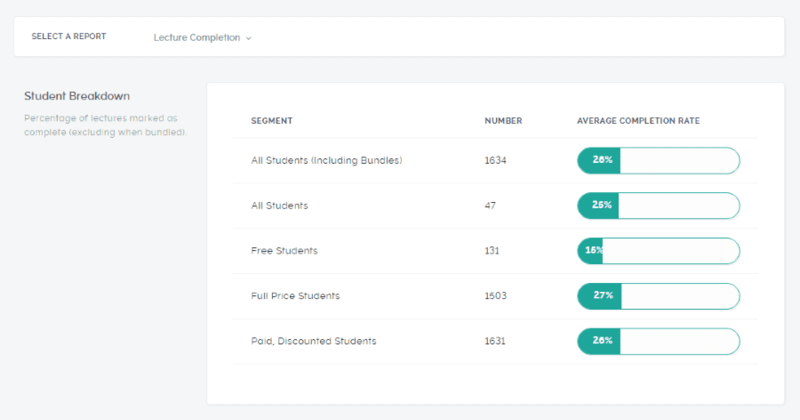 While Teachable is focused on offering the essential features for processing payments and selling your courses, Kajabi aims to provide you all the tools you need to market and sell your courses, within a single platform. Let’s take a look at what all sales and marketing tools these platforms have to offer and how they compare to each other. With both Kajabi and Teachable, you can price your courses in different ways. You can charge a one-time price, a recurring fees or a payment plan and you can even price your course in multiple-currencies. However, Kajabi offers a lot more flexibility when it comes to pricing your course. Let’s talk about subscription pricing first. With Kajabi, you can charge your customers weekly, monthly, yearly or anywhere in between while you can only create a monthly or a yearly subscription on Teachable. You can also create a free trial of any length (1-90 days) as well as charge a custom upfront payment in the form of setup fees, either of which is currently not possible with Teachable. Similarly, for courses with one-time pricing, you can set a course expiry date on Kajabi but with Teachable, you can’t do that natively and you’ll need to use Zapier as a workaround. Another issue related to pricing options is offering multiple tiers for your online course or membership site on Teachable. For example, you can have different pricing levels for your online course but you can’t include different content in different tiers. 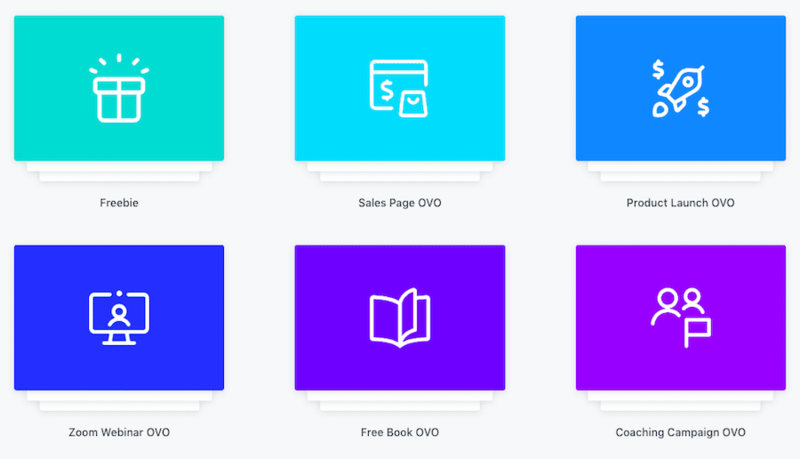 On the other hand, creating multiple tiers for your product on Kajabi is easy and it gives you complete flexibility in terms of what content you can include in each tier. Finally, you can use Kajabi Automations to add a “Gift This Course” pricing option to your courses which is currently not possible to do on Teachable natively. Overall, Kajabi gives you much more options for pricing your course, especially if you want to sell a recurring subscription. Let’s first talk about the payment processors that the two platforms support. Both platforms have a direct integration with Stripe and PayPal and your customers can pay either via credit card or via their PayPal account. However, PayPal is available as an option to your customers on Teachable only if you charge a one-time fees for your course and the currency is US Dollars. So, your customers can’t pay via PayPal for a monthly subscription or if your course is priced in, say Euro. Unlike Teachable, Kajabi lets you offer PayPal as an option irrespective of what currency you price your course in and even for a subscription product or a payment plan. For me, this is a serious limitation and something that you need to consider if you’re planning to build a membership site or if your audience is mostly outside the US. In terms of the payouts, it is all straightforward with Kajabi. On all Kajabi plans, you get to integrate directly with your own Stripe and PayPal accounts. The money goes directly into your Stripe/PayPal account and you’ll be responsible for paying out your affiliates and authors. With Teachable, you have a couple of options and to be honest, it can be a little confusing. Like Kajabi, you can integrate your own Stripe/PayPal account and get access to the funds immediately. With the second option, you use Teachable’s gateway and get paid by them after 30-60 days (instant payouts for Stripe payments if you’re in US or Canada). While the delayed payouts is an obvious downside, the advantage of using their gateway is that you have the option of using their suite of services called BackOffice where they collect tax forms from your authors and affiliates, automatically pay out to them every month, and they even remit EU VAT to the respective authorities. Teachable does charge an additional 2% for BackOffice but it is really worth it if you’ve a lot of authors/affiliates on your platform and obviously, you’re fine with the delay in payouts. Both Teachable and Kajabi have a 1-step checkout process where a user enters his/her personal information and completes the payment on a single page. 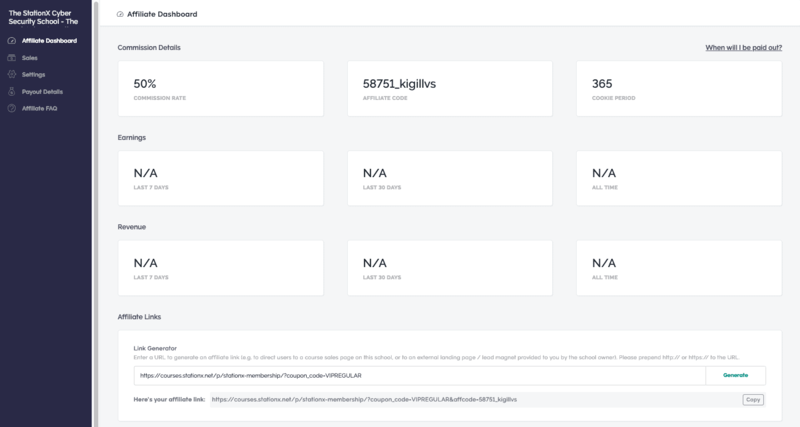 Let’s talk about checkout pages in Kajabi first! Kajabi makes it really easy to create a high converting checkout page for your online courses. It offers you a lot of options for building and customizing a checkout page. So, you can add your logo, an intro video, offer details, testimonials, a money back guarantee badge etc. to your checkout page. It also gives you complete control over what information to collect from your customers. For example, you can collect your customers’ shipping address on the checkout page which makes it possible to sell physical products (e.g. books) on the platform as well. Plus, Kajabi has some very handy conversion tools for your checkout pages. So, you can add an order bump to your offer on the checkout page or you can offer a 1-click upsell on the thank you page. 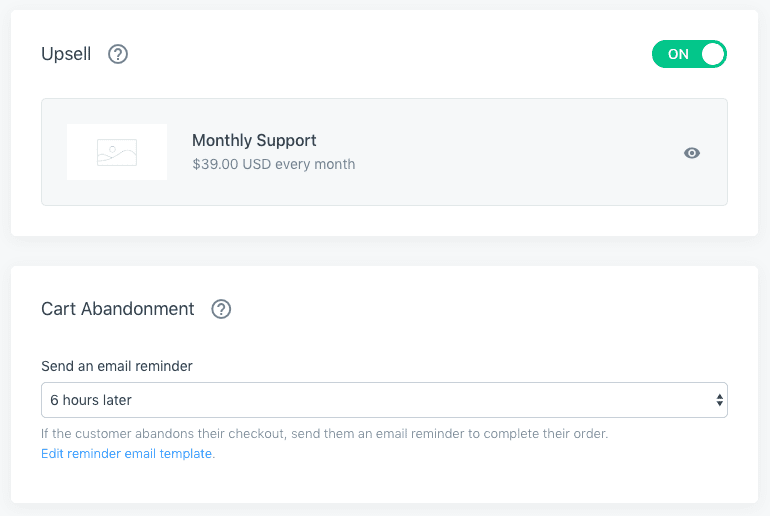 Their abandoned cart feature lets you automatically track and send an automated follow up email to those who leave your checkout page without completing the purchase. Teachable also has a well-optimized checkout page design out of the box. It also lets you add custom elements to your checkout page - testimonials, bullet points for features/benefits and a money back guarantee badge. However, it doesn’t offer you similar flexibility as Kajabi. For example, you can’t add a promo video or your product image to a checkout page on Teachable. Moreover, you have no control over the information that you collect from your customers. So, you don’t have a way to collect their shipping address or their phone number on the checkout page. While Teachable does allow you to add 1-click upsells to the thank you page, you can’t add an order bump to your offer. However, the most important thing that’s missing from their feature set is the ability to track abandoned carts. Not just that you can’t track cart abandonment natively, but it also doesn’t allow you to add a third-party tracking pixel (e.g. 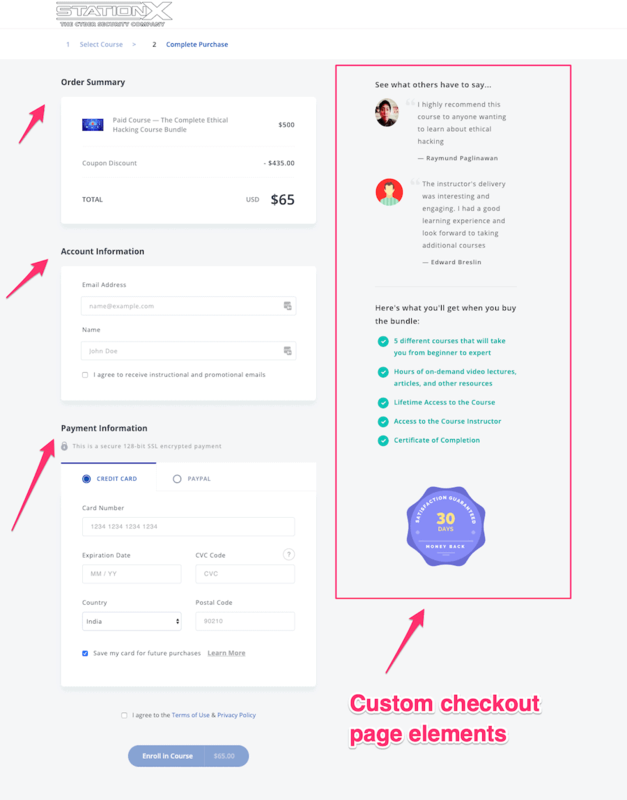 Facebook Pixel) to your checkout page. Overall, Kajabi gives you more flexibility and power when it comes to creating checkout pages for your products and offers. Teachable has inbuilt support for handling EU VAT digital taxes. Depending on your customers’ location, it automatically adds the correct VAT % on top of your product price and sends an invoice to them with details about their purchase and the VAT charged. They also allow you to display the VAT included price on the course sales pages which further helps you become EU VAT compliant. Plus, if you use Teachable’s gateway and opt for BackOffice, they will even pay the collected EU VAT to the respective tax authorities. They do charge an additional 2% fees for that but it does help reduce a lot of admin work. Kajabi at this point doesn’t have the ability to handle EU VAT on the platform and you’ll need to use an external sales tax management solution like Quaderno for that. Another option that you have is to use an external checkout page solution like ThriveCart that lets you handle EU VAT and other taxes. 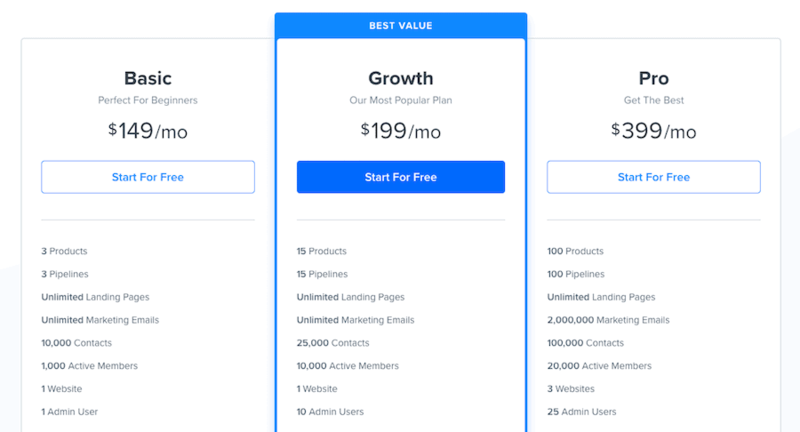 One of the most powerful sales and marketing feature that Kajabi offers is the Sales Pipeline Builder that lets you entire marketing funnels pretty easily. You can select from different blueprints available and Kajabi will automatically create different steps in that funnel. For example, if you want to offer a lead magnet for growing your email list, you can choose the Freebie blueprint and Kajabi will create a landing page and a thank you page for your funnel automatically. It also sets up the lead magnet delivery email that goes out immediately. Similarly, if you want to use webinars to market your courses, you can select the Zoom Webinar blueprint and it will create the registration and confirmation pages for your webinar and will even setup the reminder emails to the registrants. You can further customize any of the pages that Kajabi creates using the page builder or, you can add more steps to your funnel if you want. Overall, this is a really handy feature for running marketing campaigns, especially if you have little or no marketing knowledge. Apart from building entire funnels in Kajabi, you can also build standalone landing pages for lead generation, selling your courses etc. There are 20+ well designed landing page templates available in the library which you can further customize using the page builder. Teachable at this point doesn’t have the capability to build sales funnels or landing pages and you will need to use a third party solution like Leadpages or ClickFunnels for building funnels. Apart from the ability to send broadcast emails to your users, Kajabi also offers inbuilt email marketing automation tools. 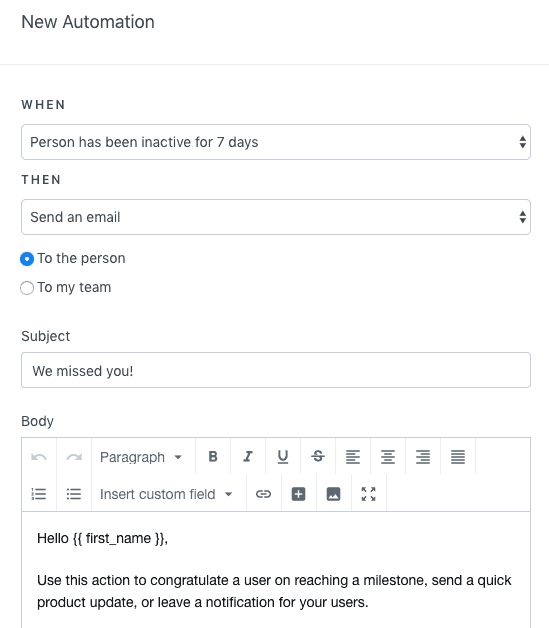 Firstly, you can tag your users and add them to different list segments which is really handy for managing them and moving them through your email funnel. Secondly, you can create automated email sequences and set the emails to go out as per a predefined schedule. Thirdly and most importantly, you can use Kajabi Automations to completely automate your email marketing. 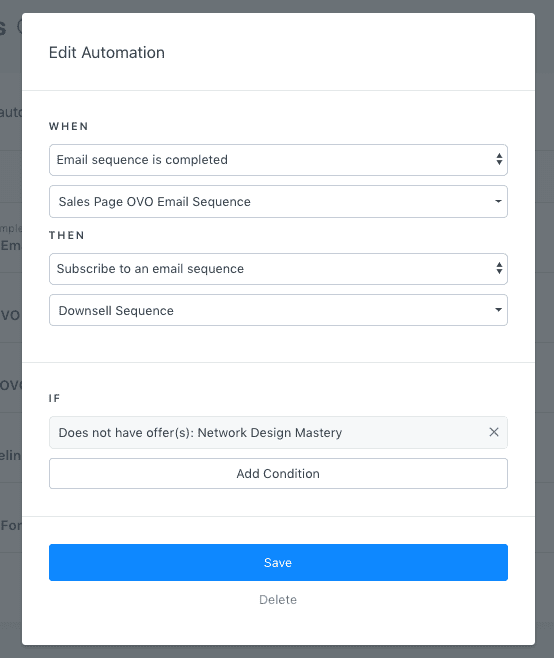 You can think of Automations as “When/Then” rules which you an use to add/remove tags, trigger a new email sequence or remove them from one, send your users a unique offer etc. For example, you can send a welcome campaign when new subscribers join your email list and once they complete that, you can automatically add them to a sales sequence and as soon as someone purchases your offer, you can remove them automatically from the sales campaign. 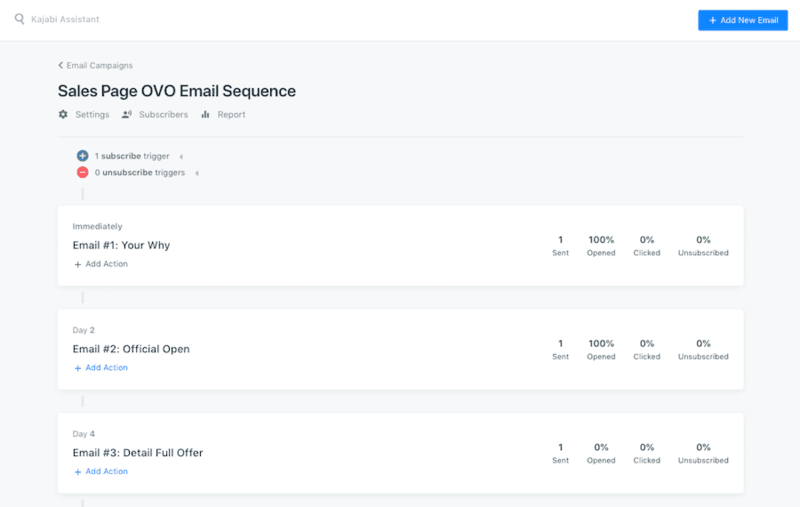 Overall, Kajabi’s email marketing functionality is solid, the tools are super intuitive to use and so, it makes it possible to run your entire marketing on a single platform. Now, it doesn't mean that you can't use an external email marketing solution like ConvertKit with Kajabi. In fact, a lot of Kajabi users do that and that makes sense if you don't want to move your list over or you just prefer using a specialized email marketing tool. Now, Teachable has very basic email marketing capabilities. It allows you to send broadcast emails to your students but you don’t have the capability to send automated email campaigns to your users. Ability to run an affiliate program is an important sales and marketing feature and both Teachable and Kajabi allow you to create your own affiliate program on the platform. Both platforms do a decent job in terms of affiliate marketing features but there are a few minor but important differences between them as well. Firstly, Kajabi lets you create a public registration page for your affiliates and as soon as someone signs up, they automatically get approved for the affiliate program. This works a little differently with Teachable. An affiliate first needs to sign up on your school as a student and then you’ll need to manually approve the person as an affiliate for your courses. Secondly, Kajabi allows you to create affiliate links that can point to your sales pages or checkout pages and you can choose to display those links on affiliates’ dashboard. An affiliate will just need to copy the link from his/her dashboard. With Teachable, you, the owner can’t create any links for your affiliates. The affiliates first need to go to your sales page and copy the link and then they can paste the copied link in the link generator to create their affiliate link. The process isn’t intuitive and requires additional work on affiliates’ part. Thirdly, Teachable’s affiliate reporting capabilities for school owners aren’t that great. There is no way to compare the performance of various affiliates and even see your top performing affiliates without exporting entire data. However, there is one specific thing related to affiliate marketing that I like about Teachable. Teachable lets you define a custom cookie period for your affiliates while Kajabi has a default cookie period of 30 days which can’t be changed. Before we end this chapter, let’s briefly talk about how the two platforms fare when it comes to integrating with other popular marketing solutions. Both platforms make it easy to integrate with analytics and tracking tools like Google Analytics, Facebook Pixel, Segment etc. You can also integrate other marketing tools like Convertbox, Deadline Funnel etc. Both of them also integrate with Zapier which lets you integrate with 1,000s of third party apps with which they don’t have a direct integration with. The difference in integrations is mainly about third party email marketing solutions. So, Kajabi integrates natively with quite a few email marketing solutions including ConvertKit, MailChimp, Aweber, Active Campaign and Drip. On the other hand, Teachable integrates directly with only two email marketing solutions - MailChimp and Convertkit and if you want to integrate with any other solution, you’ll need to use Zapier. Overall, Kajabi has much more to offer than Teachable when it comes to sales and marketing tools. While Kajabi offers an entire suite of sales and marketing tools, Teachable offers only the essential features for accepting payments and selling your courses. Some of Kajabi’s features like Sales Pipeline Builder and Automations are game changers and no other major online course platform including Teachable offers these capabilities to course creators at this point. 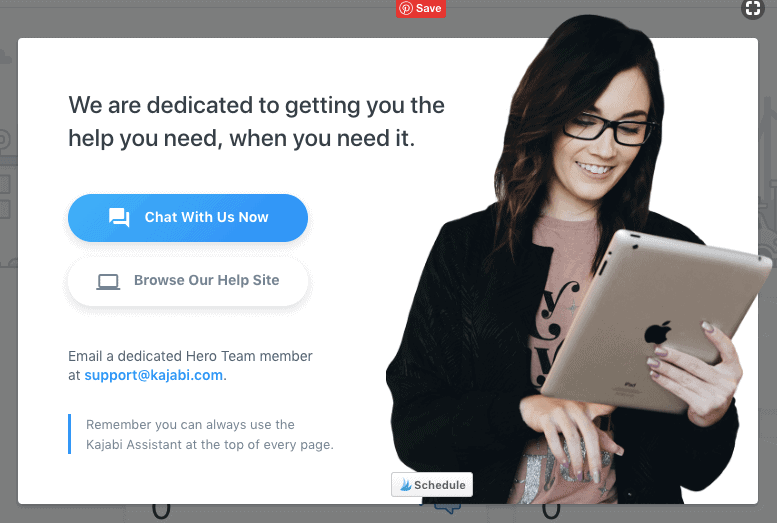 But even when it comes to the essential sales and marketing tools like checkout pages, course pricing options, affiliate marketing etc., Kajabi does a much better job than Teachable. Let me start by saying that both Teachable and Kajabi offer excellent customer support. I have interacted with the support team on both the platforms hundreds of times on behalf of my clients and generally speaking, I have found them to be pretty responsive and helpful. However, there is one significant difference between the two platforms in terms of customer support. So, Teachable offers live chat only from Monday to Friday, 10AM - 6PM EST while Kajabi offers 24x7 live chat support. I can tell you from experience that nothing beats 24x7 chat support especially when you’re in the middle of a course launch. If you aren’t the one to reach out to customer support for everything and prefer exploring things yourself, they also have a comprehensive knowledge base where you can find a how-to article/video for literally every feature on the platforms. Both platforms also invest significantly into customer training. 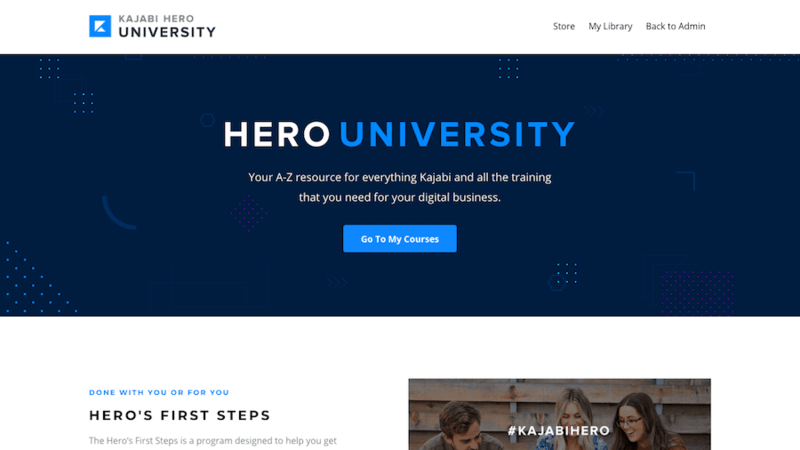 For example, Kajabi has what it calls Hero University and Teachable has TeachableU where you can find different trainings to help you with course creation and marketing. They also do weekly webinars and other live events from time to time which are all very helpful. However, what I like the most about customer support and training on both Kajabi and Teachable is their Facebook Groups. These are two of the most engaged Facebook Groups where you can hang out with like-minded creators, ask your questions or get feedback/advice on anything related to online courses. We’ve covered a lot in this review and now, let’s take a look at the Kajabi vs Teachable pricing. Kajabi offers three pricing plans and on all the plans, you get unlimited hosting and bandwidth, video storage and 0% transaction fees. The lowest tier is called Basic Plan and it costs $149/month. On the Basic Plan, you can create upto 3 Products and 3 Sales Pipelines and have upto 1,000 active members on your website. Their most popular plan is called the Growth Plan and it costs $199/month. On the Growth Plan, you can have upto 15 products and 15 pipelines and upto 10,000 active members. The highest tier is called the Pro Plan ($399/month) that lets you increase these limits even further and you can have upto 3 different websites. Kajabi doesn’t offer a free plan but they do offer a free trial. Normally, they offer a 14-day trial but you can double your free trial as part of their 28-day challenge. Teachable has a very different pricing model compared to Kajabi. Apart from unlimited hosting and video storage, you also get unlimited number of students and courses on their pricing plans. What varies between the pricing tiers is the transaction fees and the features offered. The lowest tier on Teachable is their free plan where you pay $1+10% transaction fees for every sale. However, do keep in mind that most of Teachable’s features aren’t available on the free plan. The next plan is the Basic Plan that costs $39/month and you pay 5% transaction fees. On the Basic Plan, you’ll get access to features like coupons, dripping, affiliate marketing, ability to send emails etc. Their most popular plan is the Professional Plan which costs $99/month and you pay 0% transaction fees. You’ll also get access to most of the features that Teachable has to offer. What I like about Teachable’s pricing is that it is flexible and the “pay as you grow” model makes it more beginner friendly even though it should work for just about any course creator. So, you might start on the Basic Plan in the beginning and then upgrade to the Professional Plan as you grow. On the other hand, Kajabi’s starting price is steep and it won’t work for you if you just want to test waters or if you're on a tight budget. That being said, Kajabi is actually multiple tools combined in a single platform and if you consider everything that it has to offer, you’ll find it to be reasonably priced. One of my clients moved his entire business to Kajabi in 2018. Before making the move, he would spend close to $300 every month on various software. He switched to Kajabi’s Basic Plan and not just that he is paying significantly less than before but now, he has everything under one roof and things are much easier to manage. So, whether Kajabi pricing will work for you or not depends on what features you’re going to use and what’s your budget. By now, you will have a clear idea of what each platform has to offer and if you analyze that with your requirements and your budget, you should be able to pick the best platform for you. However, if you’re still not able to decide between Kajabi vs Teachable, let me make my recommendation based on the scenarios where I have seen each platform to work better. Kajabi offers you all the tools you need to run your entire online course business on the platform. 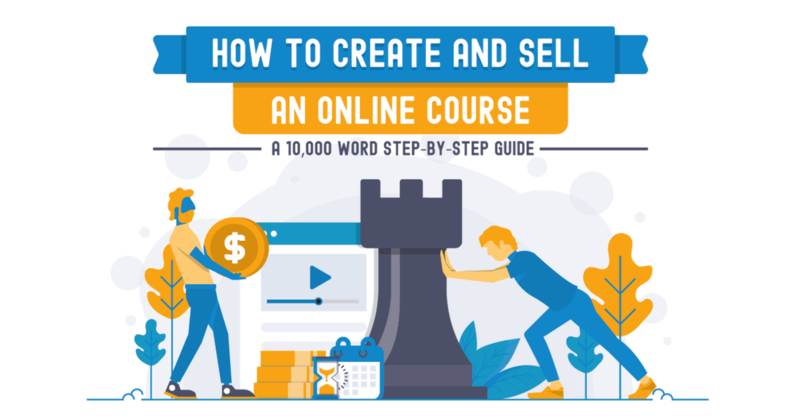 You can create and deliver online courses, build a fully-fledged website, run a blog, create marketing funnels and even automate email marketing. 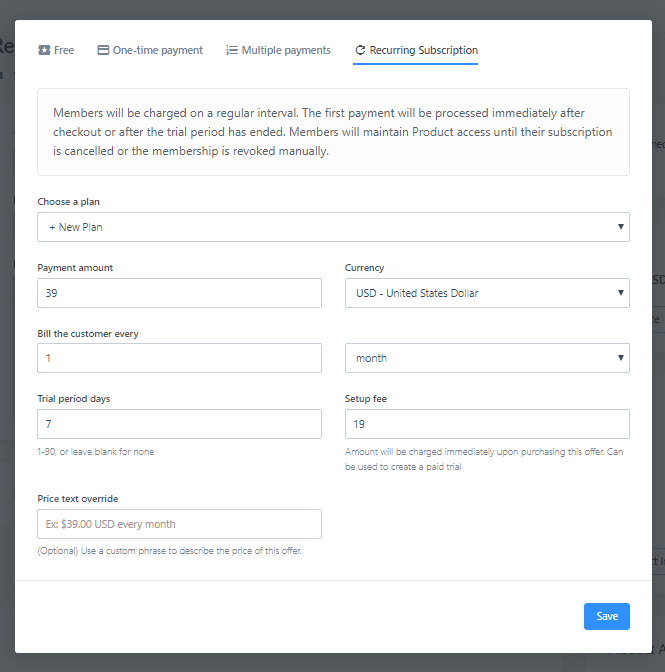 Kajabi offers product themes which are better suited for membership sites, gives you much more flexibility for subscription pricing, allows you to offer PayPal as an option for recurring subscription and you can even build a community forum to go along your membership site. Simply based on features, Kajabi is a superior platform compared to Teachable on every front, be it, course creation and delivery, site design and customization or, sales and marketing, and it should be a no-brainer for you in this scenario. If you’re looking for a platform to just host and deliver your online courses, you should go with Teachable. It does an excellent job at course creation and student engagement and it offers all the tools most creators would need. Teachable’s pricing is pretty flexible and you pay more as you grow which makes it ideal for beginners. So, you can start with one of their lower priced tiers and then upgrade later. I hope you found this Teachable vs Kajabi guide helped you make a decision. If you have any questions about either platform or if you have some feedback, please leave a comment below and I will respond to it as soon as possible.